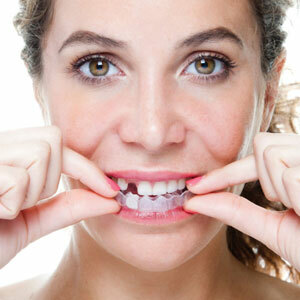 When you smile, do people notice the gaps between your teeth, instead of your beautiful smile? If so, it’s time to close those gaps and achieve the complete smile you deserve. The answer is dental implants! Dr. Jeff Welnak at Root River Dental in West Allis, WI, wants to share how dental implants can close the gaps and remake your smile. 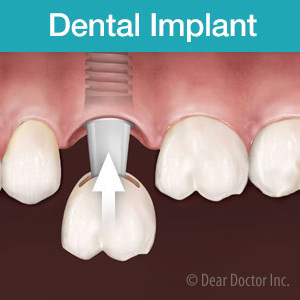 Whether you have gaps from one lost tooth or several lost teeth, dental implants can fill the space. They can make it possible for you to chew the foods you love once again. They can give you back a smile people will notice, a smile you can be proud of. Dental implants are firmly embedded in bone, so they don’t ever move; they are a permanent part of your smile, unlike bridges and partials. Dental implants look completely natural because they are made of light-reflective materials that look just like your natural teeth, unlike partials and bridges. Dental implants are easy to maintain because you brush and floss them right along with your natural teeth, unlike bridges and partials, which require soaking and cumbersome tools. Your new dental implants will never decay and they are stain-resistant, so you know they will remain beautiful for a lifetime. What could be better than tooth replacement that is permanent, easy to care for, and naturally-beautiful? Dental implants are the choice to make. When you choose dental implants, you’ve selected tooth replacement with a long history of safety and success. In fact, dental implants boast a success rate of over 95% according to the American Academy of Oral and Maxillofacial Surgeons. If you want to close the gaps created by missing teeth, it’s time to investigate dental implants, the state-of-the-art way to complete your smile. For more information about dental implants and other restorative and cosmetic dental services, call Dr. Welnak at Root River Dental in West Allis, WI, today!